Hang out the Sendschwert… there’s a fair on in Münster! Münster has a fair three times a year. They call it the Send – which apparently is a derivation of “Synod” and originated with some rather jolly get-togethers of clerics in the 9th century. 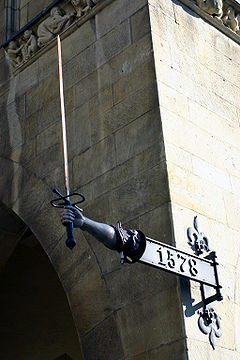 When the Send is on, the city fathers hang out the Send Sword, or Sendschwert, on the town hall. This is a disembodied arm holding an upright sword. 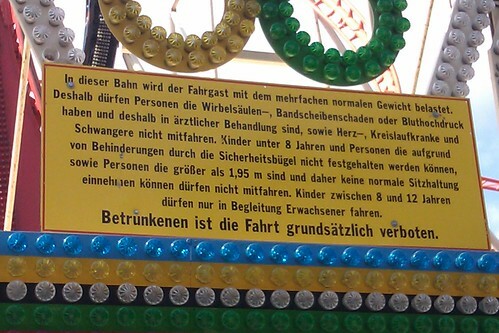 Apparently this is a reminder that any unruly behaviour at the fair used to be punishable by death. So when attending the Send, I am always careful not to drop my candyfloss or park illegally. The Münster city fathers might take it personally and decide to impale me. A disembodied arm with sword... oh my! Roll up! Cheap beer all week! A German fair would not be complete without rides. 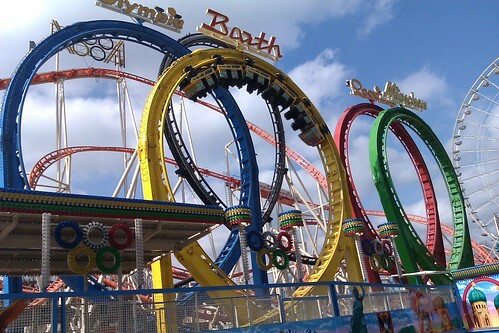 And the Send specialises in the kind of rides which can only be described as absolutely freaking terrifying. Seriously – I mean who in their right mind would go on this voluntarily? No wonder the fair is announced with the public display of severed limbs! I know you’re thinking that after an afternoon in Bruno’s Bierdorf, it might seem like a great idea to climb onto a contraption which will spin you like an odd sock in the laundromat of life…. but the city fathers have thought of that. Readers, meet German Health and Safety. Now clearly there is a disconnect here. In order to want to get on the ride you would have to be drunk to the point of near-terminal stupidity. But as soon as you are drunk, you’re not allowed on. 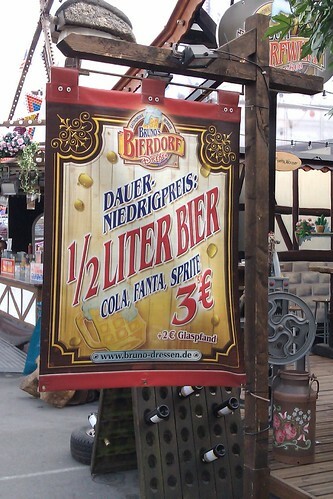 The fair does, however, offer plenty of less dangerous attractions which will part the stupidly drunk from their hard earned Euros. 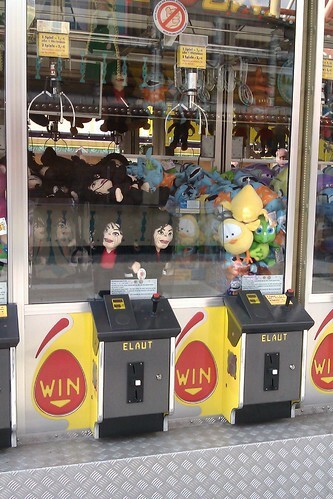 Take, for example, the mechanical grab machine where you can win one of the most psychologically disturbing cuddly toys of all time – the creepy cuddly Michael Jackson doll. You could win a creepy Michael Jackson doll... the stuff of nightmares! Suddenly being impaled by the sword-wielding disembodied long arm of the law is sounding like the most compelling attraction at the fair! Well, apart from another jug of the cheap ale, of course. Has it come to this? The Eurovision Song Contest being nobbled? Gott im Himmel! Sacre bleu! Surely that’s just not cricket! 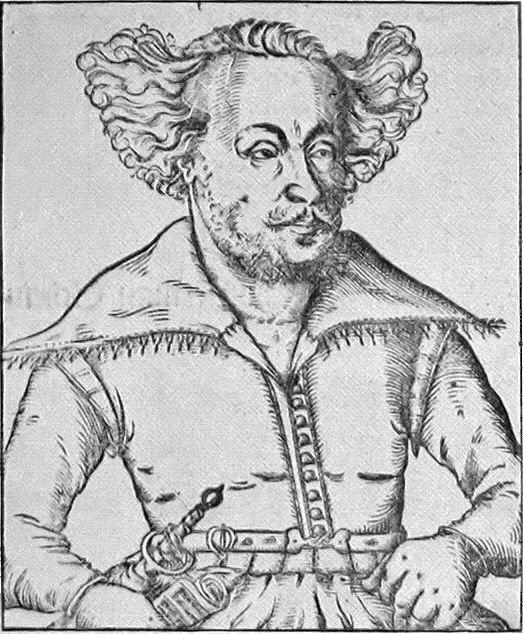 Does something strike you whenever you look at portraits of Germans through the ages? 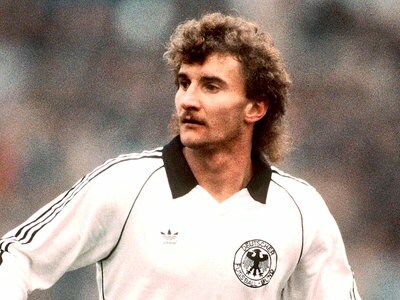 The truth is… the mullet haircut has always been in fashion in Germany. I recently learned the German word for a mullet. Not that I was thinking of getting one myself, you understand. But it’s a useful word to know, just in case the hairdresser slips it into the conversation at the same point as asking whether you want milk in your coffee – it could end in weeks of you not being able to leave the house. The German for mullet is Vokuhila. Yes, I know it doesn’t look much like a German word. It’s one of those popular German shortenings (like KiGa for Kindergarten). Vo-Ku-Hi-La… vorne kurz, hinten lang – short on top, long at the back. In the true sense of the word, it’s a hairy cut! Just remember, if you live in Germany… it is well worth travelling that extra few hundred kilometers to, say, Belgium, to get your hair cut…. It’s been a hectic week in Planet Germany. Not only has the Rhineland been turned upside down with Karneval, but the fame of Planet Germany has been spreading. This week I was asked by Christoph Driessen of dpa why the Germans love the British monarchy so much. Of course that one is easy. 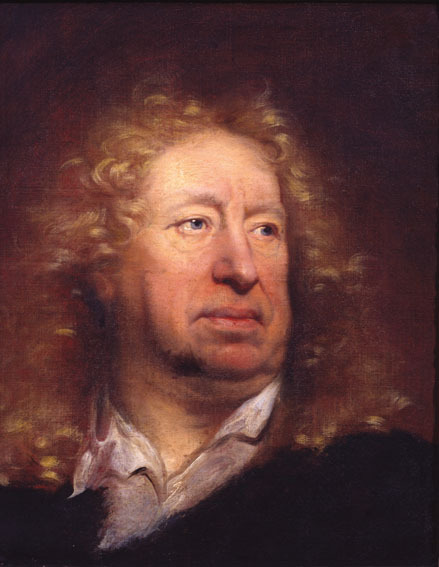 The British monarchy is in fact descended almost entirely from German nobility. 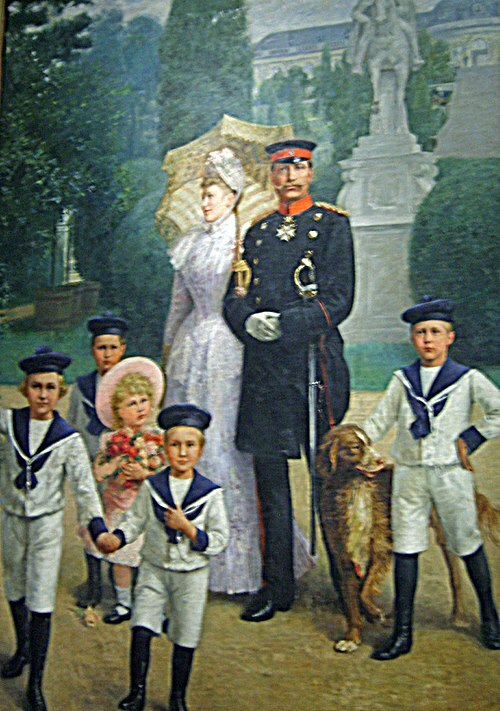 In a sense, the Germans have merely outsourced its royals to Britain. As German children grow up and transition from reading about princesses in Grimms Märchen to reading about them in Bunte and Gala, the British Royals take centre stage in the German psyche. I suspect the Swabians were behind sending the German Royals to Britain though. You see, as Germany gears up excitedly for the royal wedding, it is now the British taxpayer who will foot the bill for the celebrations. 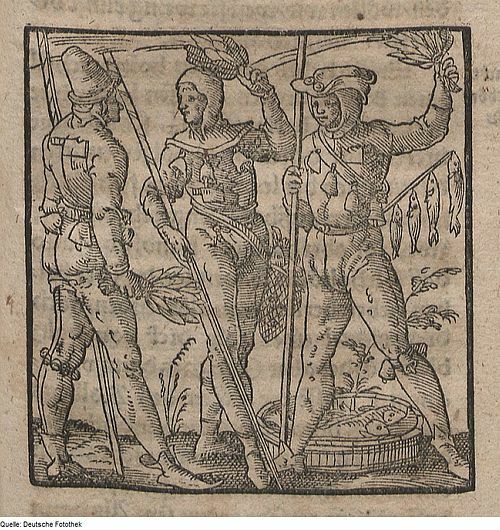 Germans everywhere are hoping for a profligate affair – especially the Schwaben. Mr. Driessen’s article can be found here (in German). I rather fancy moving to Britain darling, what do you think? Apart from my new-found status as German Royal watcher, I am also now a cultural ambassador to the French apparently. 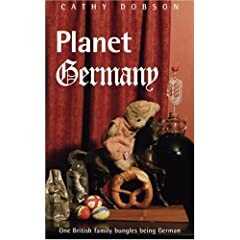 The auswärtiges Amt is featuring Planet Germany on its website at the moment as a fine example of expats loving life in Germany. I shall await with interest the response of the French to my (British) views on the Germans – these being three nations that have never been known to see eye to eye on many cultural matters. 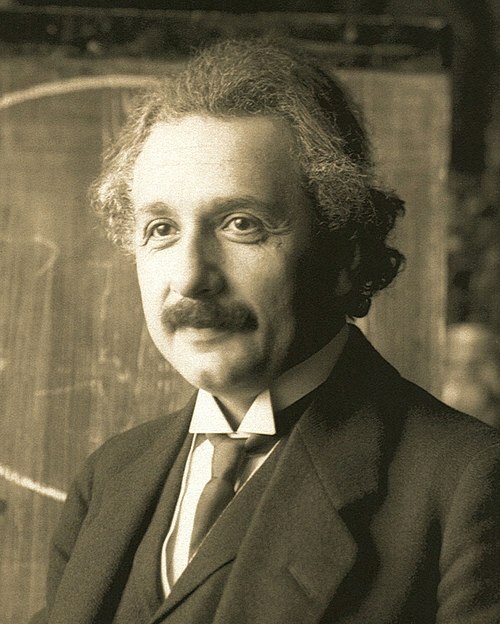 Germany’s economy has always depended on creativity and innovation. This is not to say that every German invention is without its flaws, of course. Take the Berlin wall or the cuckoo clock for example. But the very latest in chic home accessories is the new must-have fragrance from Agrar Solutions. Stallduft. This is a conveniently packed tin which contains the fragrance of a German cow-shed. The concept is, that you take it home and open it … and hey presto! Your entire house smells of cow farts! How could anyone resist? Poooh! Heidi, I think this one just let loose! Obviously I’m expecting the Germans to buy this in bulk. I shall be cautiously sniffing the air whenever I visit any of my German friends over the next few weeks. The good news is, I won’t need to worry about avoiding beans or Sauerkraut. Any inadvertent botty-burps from me are bound to be completely masked by Stallduft. House-guests will be able to relax and enjoy themselves as never before! But will it catch on beyond the shores of the Fatherland? Cunningly, the Germans started their export marking for this product a couple of years ago. In 2008 they were already fanning their cow-fart scents across the channel to Britain. 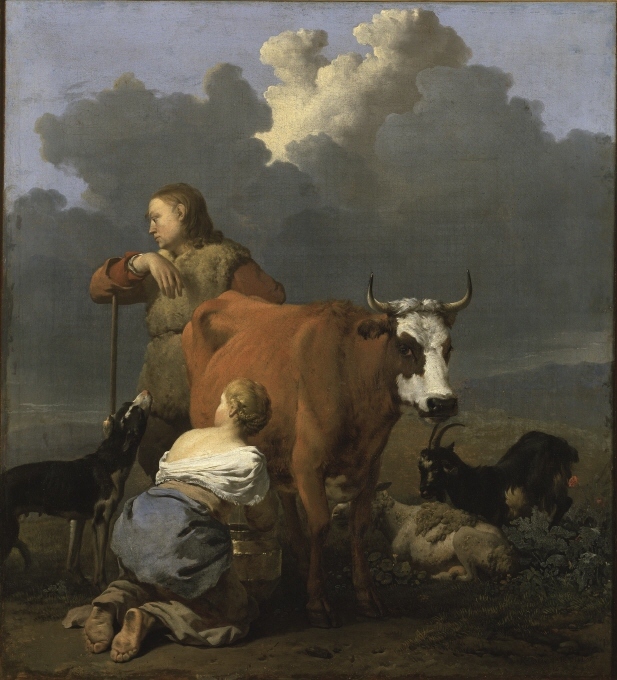 For a period of weeks, manure spreading in Germany was blamed for a pervasive fragrance of cow-dung which settled over East Anglia and the South East. But now, the Stallduft marketing theory would suggest there was design behind this. After all – which Briton can claim not to harbour nostalgia for 2008 – the carefree pre-crisis days when petrol was cheap and the air hung heavy with the scent of flatulent cattle. Those were the days…. We’re in the middle of the fifth season here in the Rhineland. The silly season. Karneval season. The normally sensible and dare I say, somewhat dull members of the local community will be dressed in odd uniforms, wigs, feathered hats and face paint for the next few days as they go about their normal business or drink in the local pubs. 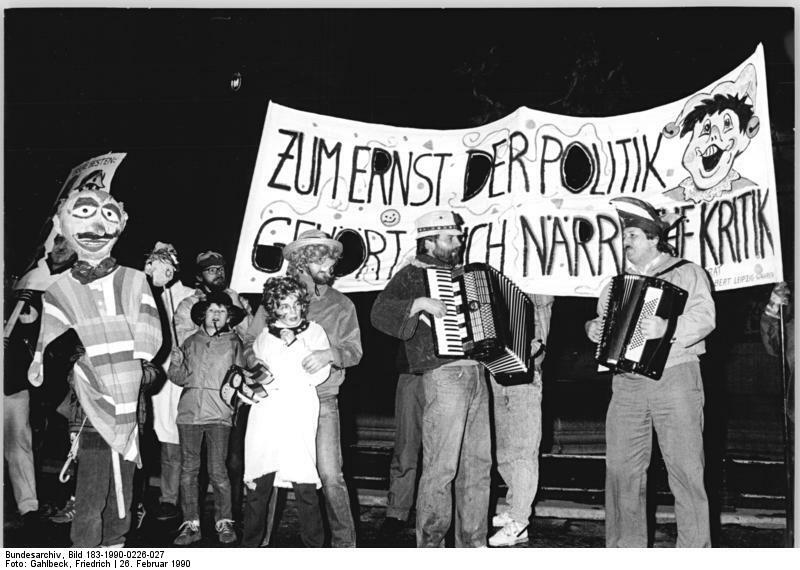 Karneval is now building up to Rosenmontag – the day of the big processions. In the Rhineland there is always a political dimension to the parades. 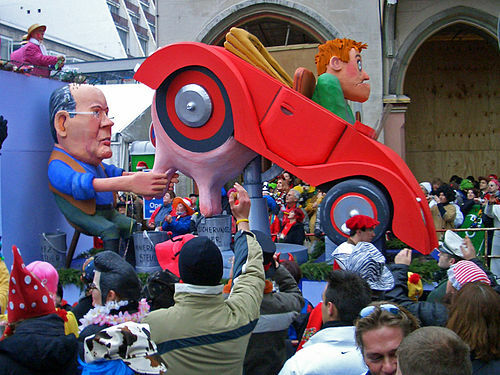 Fabulous floats drive through the streets with oversized 3D caricatures of local, national and international politicians. This year I think we can confidently expect Mr. zu Guttenberg and his cut-and-paste doctoral thesis to feature prominently. I also think some of the previous years’ ideas could well be reused…the Hoppeditz clearly didn’t manage to get much changed last time he was (briefly) in power! At eleven minutes past eleven, the citizens of Meerbusch (especially the women) will be dressed in strange costumes and storming the town hall. They will emasculate the mayor (symbolically, I hasten to add, by cutting off his tie) and oust him from his seat of power. 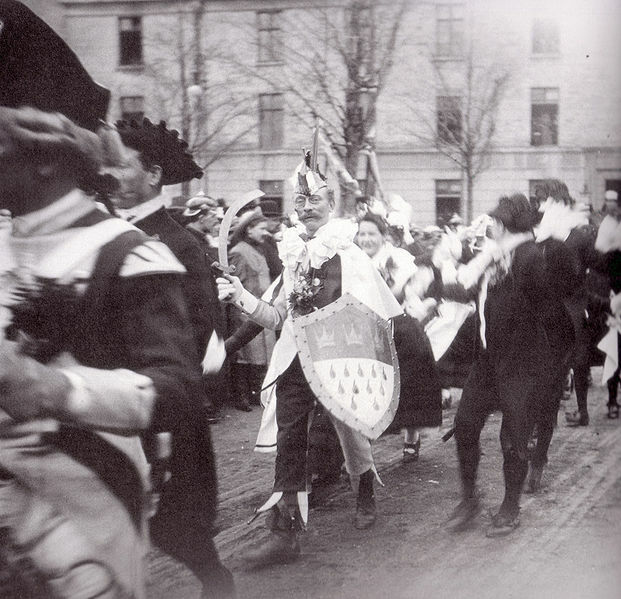 In his place they will install the Hoppeditz, the fool, who will preside over the town for the rest of Karneval. After this everyone will present themselves at the local hostelries where they will again set new records in beer consumption, while shouting “Helau!” a lot. Helau is the Karneval greeting in Düsseldorf (not to be confused with Alaaf! which is the greeting in the rival city of Köln).